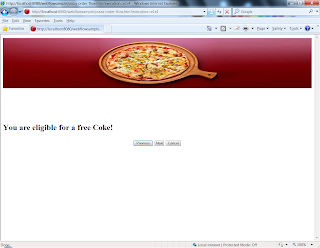 Lets create the third page which is to provide a complementary drinks, if the user has selected 'Indian Spicy Pizza'. Now since this page needs to be shown conditionally, we need to make use of 'action-state' element. Using this, we can evaluate a condition and then make the transition accordingly. In the view-state for 'selectPizza', insert the transition for 'next' to a state 'complementaryDrinks'. This will actually be a action state as shown below. Note the action state 'complementaryDrinks' will invoke a method hasComplementaryDrinks() to determine the transition. Add new method hasComplementaryDrinks() which will check if the user has selected 'Indian Spicy Pizza'. 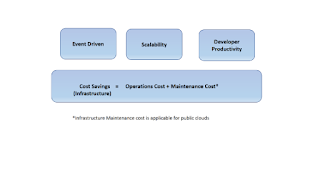 In this page, we will show the details from the first two pages for review. Clicking on 'submit' will submit the order for processing and provide an order Id back. 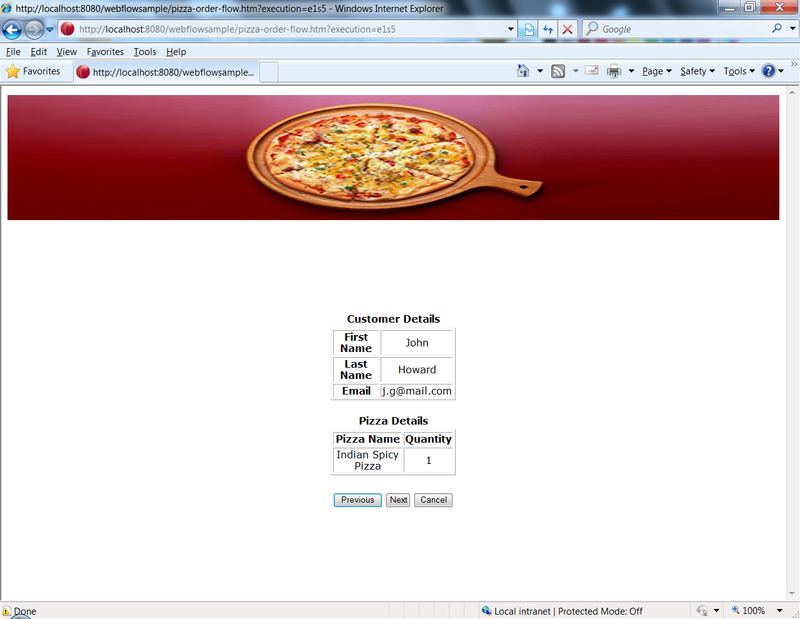 Modify 'pizza-order-flow.xml' to add the following view state. The code sample for the controller and jsp for the next section are ommitted as they are pretty straight forward. Create a method in the controller 'submitOrder' which will invoke a service to process the orde and update the order object with order number. Similarly create JSP page 'reviewOrder.jsp' and display the customer details and pizza selected along with the navigation buttons. The end states define the state points at which the flow will terminate. In our example, we have two end states, one when the user has submitted the 'Review Order' page and one when the user has clicked on 'Cancel'. Create a JSP 'orderConfirmation.jsp' which will show the order number. This completes the webflow tutorial. I hope the example was complete enough to provide a simple flow up and running. Could you share source code? This is great example, excellent work. Thanks for sharing. can u tell me any one? Can you let me know at which step are you facing issue? Were you able to download the source code?